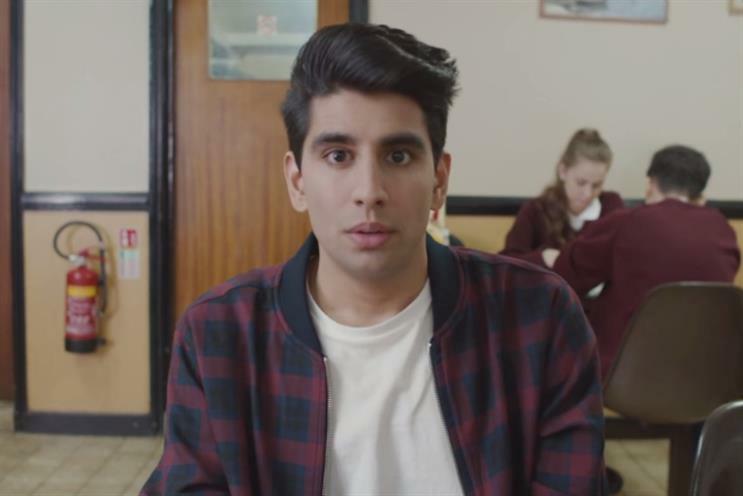 Cornetto's latest YouTube ad follows a pretty conventional love story between a teenage girl and her male best friend, with the twist that the viewer can switch between their points of view. The "two sides" ad follows the dilemma of Josh, who is trying to muster up the courage to ask his best friend Carly to the prom. Carly, naturally, is completely oblivious to Josh’s interest in her. The ad incorporates GIF-style animation and uses binaural recording to create the impression of being in the room with each character – though the viewer needs to be wearing headphones for this to work. Two buttons displayed during the film allows the viewer to switch between Josh or Carly’s view of events. The ad is part of Cornetto’s wider Cupidity series, designed to reach a teenage audience on Vimeo and YouTube.